Technology is becoming more and more important in our lives. We spend a lot of hours in front of our computers, and they have completely changed the way we work. As we spend hours and hours in front of the screens, we are becoming experts of the tools we use, without even noticing it. But, are those apps giving us the best experience? Today I want to share 10 apps I use every day, that improve a lot my experience using the computer. Those are, besides of the basic apps all of us use as Chrome, Photoshop, Calendar or iTunes, small apps that I couldn’t live without. Some of them are unknown to most of the people. All of those are Mac apps but many of them have a PC version or there are equivalent PC apps available. Evernote is a very powerful notes app and I use it to store everything I want to keep. Evernote is an extension of my brain and my digital storehouse and library. I use it to store useful information like a copy of all my official documents, an updated library of all the artists and illustrators I follow, the blog posts, color libraries, all the relevant information when I travel or recipes, among many other things. The only things I don’t store in Evernote due to practical reasons are my photo gallery, music and illustration files. It has an iOs app and all the content is also available via the Evernote website. It also has an intelligent web clipper that allows you to save everything from the website with one click. I use Dropbox as the root of my folder structure (excluding apps). I always have all my files available online, automatic backups are generated and it’s very easy to keep files in case I run out of space on my MacBook and I need to delete them from the computer. Wunderlist is one of the essential apps I use to stay organised. I keep lists and tasks that I want to complete every day and every week. It helps me to don’t forget anything and it’s my roadmap to accomplish my tasks and objectives. aText is a small but very powerful app. It expands texts when I write a specific word combination. Every time I write ,address it changes the text to my address. Every time I write ,bye it changes the text to a sign-off text and my email signature. Every time I incorrectly write ,occasionally it changes the text to occasionally. A sound is played every time a word is expanded. The possibilities are endless and I use it every day. It saves me time and I don’t need to remember complex things like special HTML codes for the website. I just trigger a three letters word and that’s it. OmmWriter is the best writing immersion app I’ve ever tried. I use OmmWriter to write my articles, but also to write long emails or answer interviews. It provides an amazing space free of distractions and includes several options like keyboard sounds and ambient music to help you to focus on what you are writing. OmmWriter doesn’t have formatting tools nor 1% of the options of Microsoft Word. It’s only focused on the writing experience. MindNode is my favorite app to create mind maps. I use mind maps to find and organize my ideas when creating illustrations and also when developing projects. It helps me to visualize all the parts of the project. An iOs app is also available so I can create and edit all the mind maps on the go. Copied is a clipboard manager that keeps a clipboard history. I can get back to your latest copied texts or images. It’s very useful in my day-to-day to copy different fields or get back to something I had copied a few minutes ago. In the past, I used ClipMenu, which is fast and free, but a few months ago I discovered Copied that can sync with an iOs app. It makes Copied an excellent way to copy text or images in the Mac, and have them available in the iPhone in a second, and vice-versa. Sip is the universal eye dropper tool that lives in the menu bar. I use it to capture any color on the screen. It has an excellent integration with Photoshop, so I don’t even need to copy and paste the code in Photoshop. It’s a fundamental tool for my working process. F.lux adjusts automatically the color temperature of the screen preventing eye fatigue. It makes the color of the computer’s display adapt to the time of day, warm at night and like sunlight during the day. It has an option where it can be deactivated for any app, so it doesn’t interfere when I develop illustrations in Photoshop or Illustrator for example. Amphetamine is a tiny app that keeps the Mac awake. I can set how long you want to keep my Mac awake and even set certain apps events that are triggered when some apps are launched. It’s very useful when I download huge files or upload backups during the night time. Those apps make a big difference in the way I interact with my computer and they help me to create optimized and flexible workflows. It’s not just about working faster and in a more optimized way. It’s about dominating the available tools and becoming an expert and a better professional. Which apps do you use? Do you use any app that might be unknown to the rest of us? As always, I would love you hear your comments! Useful! I have been using dropbox for years. Now im trying with Pomodoro apps inorder to prevent distractions. Backdrop is an useful app to saty focused on your work. Thank you! I didn’t know Backdrop, it looks very useful to remove the distractions and focus on the important things! Thank you for contributing to the article! I used the Pomodoro technique a lot in the past, and I still use it sometimes when I’m super busy. Which app do you use? I use Workburst. It looks like the development has been abandoned, though. have you ever used Toggl? I find it very useful to track my working time and being more aware of how much time I spend everyday actually working on drawings, etc. I don’t need to track my time, but Toggl seems to be awesome. Thank you for your contribution, Giulia! An ussefull post. Thanks for all! I’m using http://moosti.com/ to apply the Pomodoro technique. Awesome! Thanks for sharing, Ana! Btw, I think this type of features should be integrated into the OS by default. Awesome list. Thank you very much, Magoz – you are so generous! AText is fantastic. I use Transmit for FTP and Sublime Text for coding. Transmit works astonishingly. I was a Cyberduck user before and when I switched I experimented a massive difference. I use Brackets instead of Sublime Text. Thank you for your contribution, Chris! A pesar de que mi mundo docente quede alejado del trabajo de ilustración tus entradas me parecen muy interesantes a la hora de organizar el trabajo. Soy una apasionada del arte y de todo lo que conlleva.Y en cuanto a las citas…sencillamente las adoro pues el primer blog que comencé y aún mantengo comenzó con una sección de citas. Ya sabes soy una acérrima seguidora tuya.¡ Un abrazo! Hola Carmen, muchas gracias de nuevo por animarte a comentar. Siempre es un placer tenerte por aquí. ¿Cómo organizas tu trabajo docente? ¿Utilizas algunas aplicaciones y sistemas concretos? Hola de nuevo. Me ha costado trabajo familiarizarme con el mundo digital por eso aún sigo manteniendo mis eternos cuadernos de notas que en general suelen ser de páginas blancas porque indistintamente escribo o dibujo . Sin embargo para intercambiar documentos con los colegas uso mucho el Dropbox . Personalmente, para recordar citas o eventos ,utilizo a menudo la aplicación Calendario de la tablet. Por último, he comenzado a usar Word reference para agilizar la traducción de diversos idiomas porque el traductor de google a veces no es muy bueno. Gracias por tu interés.¡Un abrazo! Totalmente de acuerdo con lo de Google Translate. Me encantaría que Wordreference desarrollara un traductor donde se pudieran traducir frases y textos más allá de palabras sueltas. ¡Gracias a ti por compartir! De las pocas apps que le sacan real provecho al “Slide Over” de iOS9. El mejor traductor online hasta el momento. Mi tendencia es la de reducir cada vez más mi dependencia de materiales y reconozco que me causa cierto recelo el uso de apps accesorias. Por una parte, no quiero depositar toda mi confianza en lo digital, y por otra, no quiero crearme nuevas necesidades. Por ejemplo, en lugar de descargar OmmWritter para escribir concentrada, yo abro un documento de TextEdit (que tiene un interfaz sencillo), lo pongo a pantalla completa y le doy al play a alguna sesión de música tranquila de las que tengo. Para otras tareas específicas, me gusta mucho usar herramientas online que no requieren descarga. Pero procuro tener siempre en mente lo siguiente: ¿si ahora se apaga la red, puedo seguir con mi trabajo? Soy una clásica, lo se. Buen aporte Magoz! aText me lo apunto. Me gusta mucho esa filosofía, Clara. Va muy acorde conmigo. Entiendo lo que dices de limitar el número de apps y cuestionarse toda app accesoria. En el mundo físico lo llevo prácticamente hasta el límite, hasta el punto que todas mis pertenencias me caben en una maleta (excepto la biblioteca de libros que la voy construyendo en casa de mi padre, y todo lo referente a la tienda online, que se encarga una persona de gestionarla). Limito las cosas que tengo porque en la mayoría de casos no las necesito, o puedo simplificar y juntar varias cosas en una. En el mundo digital mantengo la misma filosofía pero con matices. Y es la optimización y esperiencia de usuario. Siempre que usar una nueva app me haga trabajar mejor y tenga un impacto significativo en mi experiencia de uso, no tengo problema en darle la bienvenida a mi workflow. – Utilizo Brackets como editor de texto para escribir código. – Utilizo OmmWritter para escribir texto. Las únicas ventajas que encuentro que tiene TextEdit respecto a usar dos aplicaciones es que viene por defecto con el Mac y que es gratis. Por todo lo demás, las otras dos aplicaciones son infinitamente mejores para desarrollar esas dos tareas básicas (escribir texto y escribir código). Por el espacio en disco que ocupan y precio que tienen, para mí está justificado su uso. Para mí sería lo mismo que utilizar una navaja suiza para comer en vez de cubiertos, está muy bien cuando estás de viaje y el espacio y peso es importante, pero en el mundo digital esa desventaja desaparece. Pero bueno, eso supongo que me convierte en un loco de lo digital. Muchas Gracias por animarte a compartir tus puntos de vista y experiencias. Pues tienes mucha razón. Lo físico y lo digital son dimensiones distintas. Aunque creo que en un futuro también nos plantearemos el uso “sostenible” de lo digital para moderar el consumo de energía. Pero eso ya son otros debates. No se ha mencionado Google Drive. Yo lo uso como sustituto de Dropbox, Wetransfer y el paquete office. Supongo que poco a poco lo digital va a ir ganando terreno y tendremos que replantearnos muchas cosas como tú bien dices. Yo uso Drive especialmente para Docs y Sheets, ¡funciona de maravilla! Gracias de nuevo por aportar información y puntos de vista interesantes. En mi caso, soy mas fan de herramientas que tienen un uso mas abierto y versátil. Por ello cuando me topé con Dropbox Paper, se me hizo muy sencillo reemplarzar a herramientas como Evernote/Onenote, Todoist/Workflowy, Zenpen/iA Writer, Wake, y una que otra mas. En pocas palabras Dropbox Paper es una app que en una especie de “formato de texto” permite manejar listas, incrustrar contenido web, agregar imágenes, insertar código, y demás. Todo sumado a la potencia de la nube de Dropbox y con la gran posibilidad de incluso realizar comentarios y trabajar colaborativamente. Siendo sinceros como servicios aún tiene mucho por mejorar ( no es del todo fluido, ni intuitivo como debería ser, ademas no cuenta con apps en móviles), pero aún asi vale la pena darle una oportunidad a una propuesta que con el tiempo fácilmente podría convertirse en un game-changer. ¡Gracias por tus aportes, Hanu! De hecho yo utilizo tanto Evernote porque permite en un mismo archivo añadir texto, enlaces y otros archivos. 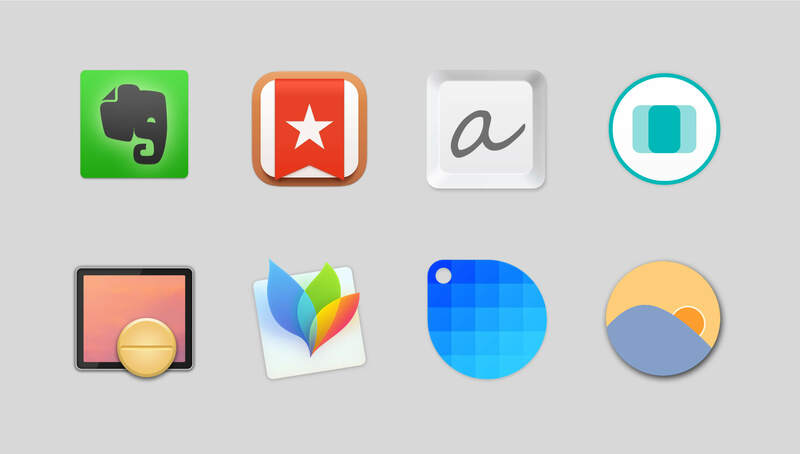 I was wondering why you use Dropbox + Evernote + Wunderlist + Trello? Instead of these 4 tools, couldn’t you do the same with only 2 of them? In 2018 I would like to get a good set of tools together to stay more organised, focused and flexibel. I’m doing my best to find out which ones to use or discard and would love to hear your thoughts on that. So far I got a Dropbox Plus account for backing up my work related things (like folder structure, inspiration stuff, invoices,…) and am using Trello for setting up broader TO-Do lists but also day to day tasks. Would it be right to assume that you use Wunderlist for short term tasks (especially because of the reminder function?) and Trello for going through all the different steps of posting a blog for example? What differences do you see between using Dropbox and Evernote when it comes to storing files? Have you ever used or heard of Simplenote? It’s a pretty minimal but effective tool of keeping notes synchronised over different platforms but without a reminder function. – Dropbox holds my file system. – Evernote has all my notes and information in text format. – Todoist (I no longer use Wunderlist) is my task manager. – Trello is a powerful tool to organize several workflows of my business and a collaboration tool. Some of these apps are flexible enough to do several things, for instance, you can create tasks with Evernote, Trello, or Todoist, but only the later was designed specifically as a task manager, hence it’s more specialized and powerful. My philosophy is to use the app that helps me the most to achieve my goals. If that means using 4 apps instead of 2, it’s okay for me. Your assumption is correct, I would do it in that way. Evernote is good to store text-related files. Dropbox stores files. For example, it’s so easy to store a set of written instructions in Evernote and find it, but a bit painful in Dropbox, because you probably need a text editor to view/edit the files in most operating systems. Also, searching for the contents of those texts becomes more tedious (if not impossible). Also, on Evernote, you can attach other files inside of each note. I’ve been experimenting with Notion in the past months and it’s even more powerful and useful than Evernote. I’m right now considering ditching Evernote and migrate to Notion. Simplenote is good, I’ve used it in the past, but too simple for my needs. The same applies to Bear (which is very very very good also, but very simple). Hola Magoz, una vez más encantado de leerte. Leyendo los comentarios, puedo decirte que en lo físico todo puede entrar en las típicas maletas de viajes lowcost. Pero en lo digital puede existir un universo dependiendo el enfoque que le des. Me gustaría recomendar una herramienta que he descubierto, que puede ser la navaja suiza en Productividad. Puedes realizar el 90% de tareas productivas sin salir de esta App. Pomodoro, task list, notas, ejecución de comandos, web apps, enlaces directos, explorador de archivos, etc… Y lo mejor de todo cada herramienta por proyecto separado. Encantado de participar en tu blog.